There ar­­e few things in life, if any, that are certain and we never know when a disaster or emergency might occur. During such times, things like food and clean water can easily become a luxury and life becomes an instance of survival of the fittest. Humans, like animals, rely on certain basic instincts. These instincts include hunger, thirst, the need for shelter, and so on. Our instincts ensure that our basic needs are met. Primitive humans relied more on their instincts than we do today. This is largely due to the abundance of supplies. However, what would you do if everything you knew was no more and you had to start from scratch? 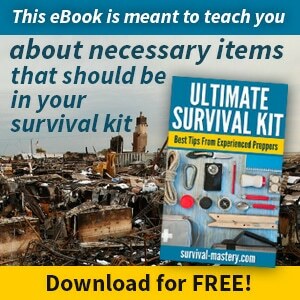 Prepare for the unexpected by compiling your very own survival food list to ensure that you’re always one step ahead. Disasters are tough to predict and, in some cases, completely unforeseeable. In addition, it’s often difficult to estimate how long the effects of such circumstances will last before life returns to normal. Even once life seems to get back on track, it’s not always possible for everyone to keep up and this is where longer lasting foods will come in particularly handy. Hard grains are known to last for up to 12 years if they are stored properly. You need to keep them sealed and stored in a dry place away from direct sunlight. Soft grains can also keep for as long as 8 years if they are sealed and stored without oxygen (vacuum packed). Beans are a great source of protein. They also need to be sealed and vacuum packed to help them last up to 10 years. Pasta and various types of flour can be stored for 5 to 8 years. White rice can last for as long as 10 years. Again, like all the products mentioned above, you need to respect certain rules like keeping water and air out. Oil is an important part of cooking. You might not be doing much deep frying but you can add oil to various foods and salads for flavor and essential nutrients. Coconut oil is known to last more than two years. When confronted with a disaster, you might not have access to a kitchen or high tech cooking equipment. 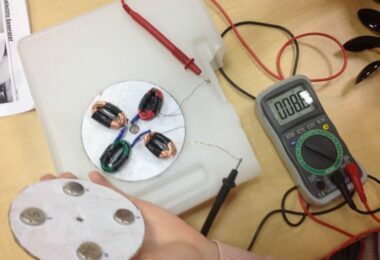 Without electricity, your modern oven and stove will be pretty useless. If gas lines are also shut down, you may rely on gas bottles or even an open fire. This is why you need to consider foods that require little to no cooking. Examples of these kinds of food include canned tuna and other types of canned meat as well as canned fruits and vegetables. Coffee, tea and powdered milk will require some preparation and you need to make sure that the water you use is safe. Peanut butter is generally a crowd pleaser, does not require refrigeration once opened and it can last really long too. Ramen Noodles might not sound like the most nutritious meal of all but they are cheap, lightweight and easy to make with little cooking time. You should also pack plenty of dried herbs and spices. An otherwise bland meal can be completely transformed by adding some spice. Not to mention the nutritional benefits! These items generally last for up to five years. Some food items can be used for other purposes too. For example, baking soda and apple cider vinegar are often used for cleaning. The latter is known for its antibiotic properties. Honey is a natural sweetener and also known as a natural antibiotic. The best part of all is that honey will not expire! Survival is not just about food. As previously mentioned, you will also need stock up on water. Bottled water is essential as is a portable method of water filtration. There are a number of products on the market that purify water. Some are suitable for individuals while others are large enough to sustain an entire family for several years. It’s understandable that the foods you store for months or years will not have the same nutritional value as fresh produce. For this reason, you should also stock up on vitamins. Vitamins are not a substitute for food but they will help ensure that your body gets everything it needs and that you stay as healthy as possible. When buying your meals, you need to check the labels and read the nutritional information. Take note of all the different nutrition of each item and do some basic meal planning to ensure that you enjoy a balanced diet. By doing this, you will also know which vitamins and nutrients you are perhaps lacking. When shopping for vitamins, look for these in particular. It should go without saying that you will need to keep other consumables handy including simple things that we may currently take for granted like medicine and toilet paper. Just like you need to keep a list of food items, you should also remember that certain foods are not suitable for stockpiling. Fresh produce has an extremely short shelf life so, obviously, there’s no point in buying truckloads of fruit and vegetables. 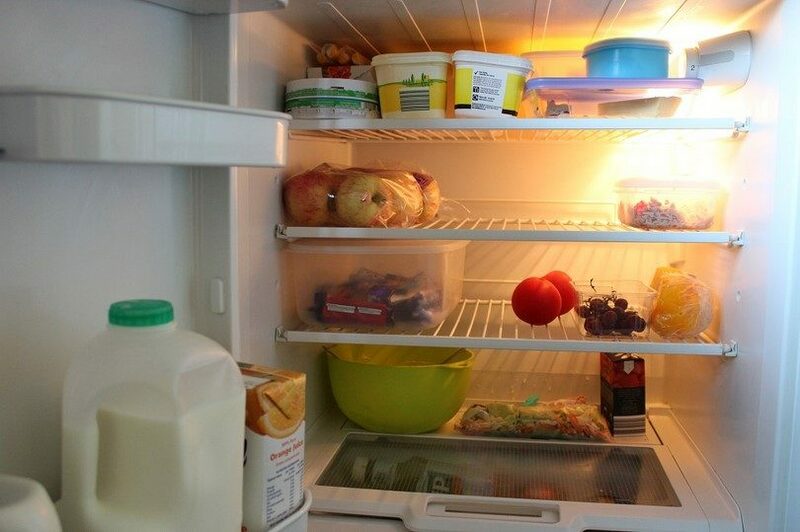 Foods that need to be kept in the fridge or freezer should also be avoided since you will have limited space and these have the shortest shelf life of all. Many items that you do stock up on will need to be kept at a reasonable temperature but this can be achieved even without electricity or cooling systems. Other items that you should avoid are those that take a long time to cook. The longer the cook time, the more energy you will consume. Likewise, foods that require a lot of water to prepare might not be ideal. For example, if you need to cook pasta, you will discard a lot of water. This is exactly why it is important to keep separate supplies of water. Drinking water and cooking water should be kept separate from water used for cleaning and bathing. Both should be used sparingly since water is the most valuable and vital of all. When compiling your list, you will need to consider several different types of items. The products you purchase will depend on several factors including price and personal preference. For example, if you enjoy a particular type of soup, you will most likely stock up on more of that soup than other flavors; likewise, when it comes to puddings, meats, and fruit. Stocking up doesn’t happen overnight; particularly when you consider the financial implications. A good guideline to remember is to purchase as many items on your list each time you do your usual grocery shopping. Alternatively, you could set aside money each month and build up your batch. Once stocked up, you can replenish each item every month so that you always have the freshest items in stock should an emergency occur. Some of the best items that you will find at your local grocery store includes canned and boxed foods and bottled water. Stocking up in this way will require planning in advance and, at a push, it can be done in a hurry. You will need to store these items in the right conditions and you will need to monitor the expiration dates. While canned goods take up a fair amount of space, grains require a lot of water to cook so each type of food has its own set of pros and cons that need to be considered. These can come in particularly handy since everything you need has been prepared and packaged. They last for up to 7 years provided you keep them in a cool, dry place. MRE Meals also include special heaters for fast preparation. They can be ordered online and delivered right to your door. The price of these meals proves to be their main drawback. They also require a lot of storage space and, at the end of the day, the flavor of the food can quite easily be compared to canned meals. Canned foods are usually cheaper, easier to store and have a long shelf life which makes them the top choice for the general public. 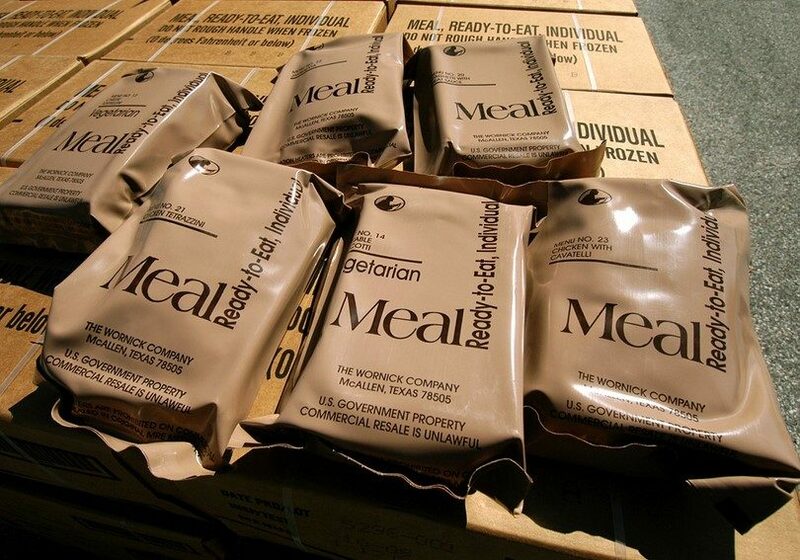 For affordable versions, see our piece on how to prepare DIY MRE meals to save money. Foods can be dried in many different ways. Those that are freeze-dried can last for as long as 30 years! They tend to taste better than most other items on the average survival list. All you need to do is add water in order to hydrate your food as opposed to a large quantity in order to boil your meal. Dried foods have a remarkable ability to maintain most of the original nutrients they had while fresh. 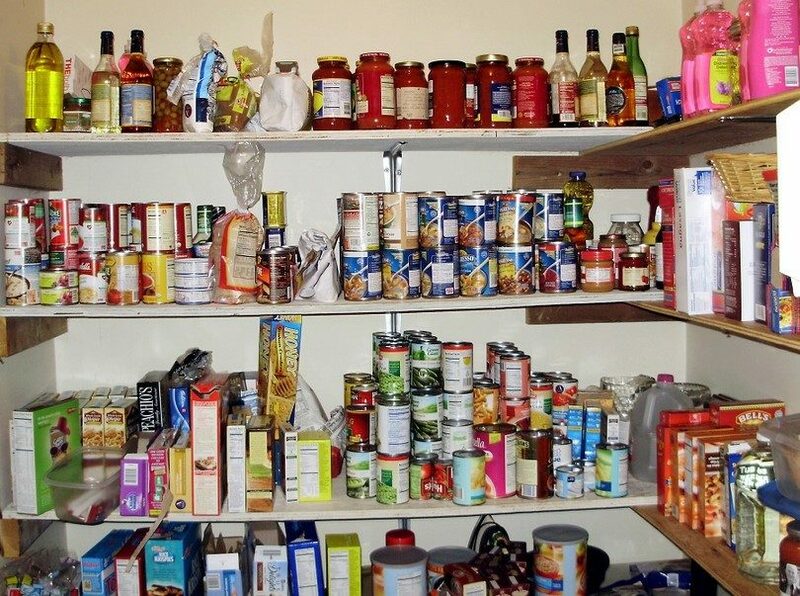 Dried items take up far less space and they cost about the same (per meal) as most other home cooked meals. See our tips and guide on how to dehydrate food for your needs. The only downside is that these items tend to be consumed rather rapidly and might not last as long as you’d like. Planning your survival food will also involve planning beyond your supplies. 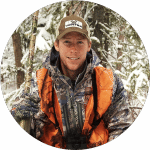 Your survival instincts should underline the importance of sustainability and supporting your nutritional needs long after most of your pre-purchased stocks run out. 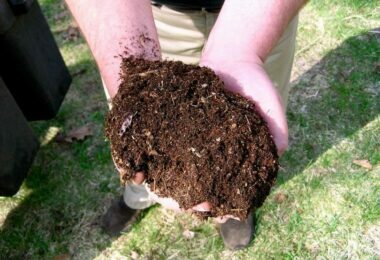 To do this, it’s important to learn to grow your own food. Even if you are only affected by a disaster for a few years, there is no substitute for fresh fruit and vegetables. It’s not just about the nutritional value but also the flavor that it adds to your meals. There are many different kinds of fresh produce that can easily be grown at home. Even if you don’t encounter an emergency for several years, you can still enjoy the benefits of your own garden. Peas and beans are excellent to grow yourself. They are a source of protein and they are lower in fat than many other sources of protein. They are also quite low in sodium and high in potassium. Berries are high in potassium and this helps regulate blood pressure. Raspberries, strawberries, blueberries and blackberries are all great berries that you can grow yourself. If you have enough space, you should consider growing broccoli and/or cabbage. Both of which are low in calories but high in nutritional value. Carrots are great for so many reasons. They can be cooked or enjoyed raw. Many greens can be enjoyed with little to no cooking. Peppers are high in vitamins A and C as well as calcium, iron, fiber and contain no fat. Melons are low in calories, rich in fiber and they contain a wide variety of vitamins and water. They are a wonderful source of water, natural sugar and various nutrients. Potatoes are considered a staple in many homes. They are rich in fiber, potassium and low in cholesterol. Some other great ideas to consider growing include various types of squash, sweet potatoes, and tomatoes. Check out our piece on living off the land to see more options on food sources. Canned fruits like peaches, pears, cherries, and any of your other favorites. Some might find themselves partial to canned mango while others prefer berries. Canned vegetables are also plentiful and some of the most popular include beans, peas, corn, and carrots. Pickled foods are also popular and you can pickle just about anything including cauliflower, onions, and hot peppers. Canned meat is also quite diverse and you can find several types of canned fish (like tuna, sardines and herring) as well as different kinds of canned meat (chicken, pork, beef). Canned soups are also available in various flavors and they are far more convenient than using a large amount of your water supply to make a whole pot of soup. Not to mention they are easier to store than a pot of fresh soup that will go bad without proper refrigeration. Dried legumes like lentils, peas and beans maintain their nutritional value and can be stored for a long time. Nuts are a source of beneficial fats and various other vitamins. They are already dried and, in some cases, the most they will need is to be roasted a little. Peanut butter can be enjoyed in many different ways. It is a great source of protein and it’s delicious too. Pasta comes in various shapes and forms. Some require longer cooking times than others so make sure that you consider this. You will also need ample water for cooking which is often seen as a drawback. Pasta sauces can also stand the test of time if stored properly. They are a convenient way of creating a delicious meal with just a bag of pasta and your choice of sauce. Crackers are available in various flavors. Like other dry goods, they need to be stored at the right temperature and out of the humidity. They make wonderful snacks and you can enjoy your peanut butter on your favourite crackers too. Flour is a staple in many cultures. It is essential for making bread (which you can do in a wood oven) and as a thickening agent in sauces. Sugar is another important product to keep in stock. Of course, remember to keep your sugar in a suitable airtight container or properly sealed in plastic to avoid moisture getting in. Honey, as mentioned briefly above, is a wonderful natural sweetener and antibiotic. It is also one of the very few products of nature that never expires. Honey does tend to crystallize after time but this does not affect the flavor or goodness. In order to soften it up, you need only soak the sealed container in very warm (not boiling) water. You should never boil honey or add it to boiling water. Dried seasonings like salt, pepper, cinnamon, vanilla, and herbs like parsley, dill, oregano, and any of your other favorites can also be purchased in small, sealed packages. Beef, chicken, and vegetable stock cubes are great for making stews and soups. Baking soda, yeast, baking powder and similar dried products can come in handy. They are available in small and large packages for added convenience. Vinegar can be made from various different products. 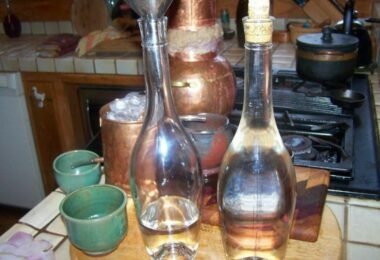 As a result, some types of vinegar last longer than others. Even if your vinegar has reached its “best before” date, this does not mean that it has expired. It might still be suitable for use in cooking and, if not, you can always use it to clean. For the sweet tooth, don’t forget to buy unsweetened cocoa powder and pudding mixes. Whole grains like rice, barley, cornmeal, oats, and couscous are all great to keep on hand. While rice requires a lot of water and a longer cooking time than couscous which is why the latter is often more popular. Fat free powdered milk will last for a fairly long time and you can use the milk for drinking and in various recipes. Different kinds of oil should be kept on hand including olive oil, coconut oil and other types of vegetable oil. There are several types of cereal that offer superb nutritional value and they can be stored for quite some time. Popcorn is a great snack but make sure that you don’t buy the microwave kind. You might not have access to a microwave or electricity for that matter. Instant potatoes might not taste quite as delicious as the real thing but they are excellent for keeping bellies full. Instant meals like noodles, macaroni and cheese, hamburger helper, and so on are all good to stock up on. They are all really quick and easy to make. Bottled water is a must for many obvious reasons. Tea, coffee, fruit juices (canned or boxed) and drink mixes will all come in handy. 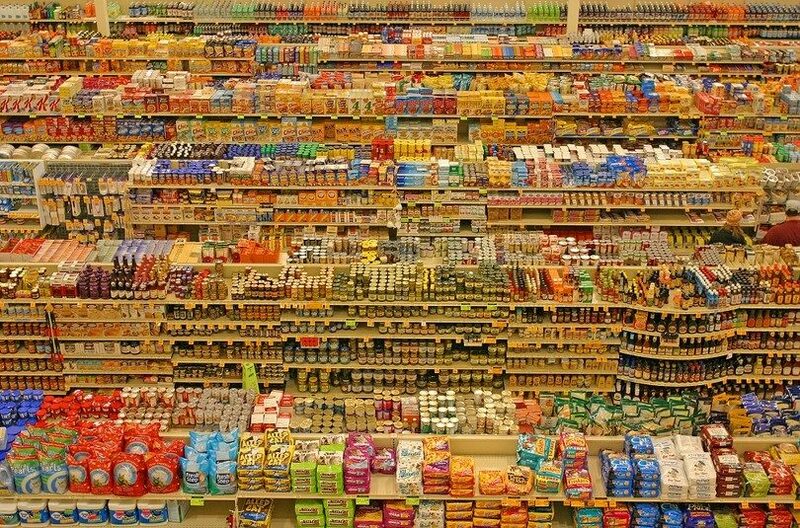 For a comprehensive list of non-perishable food, check out our article on this topic. 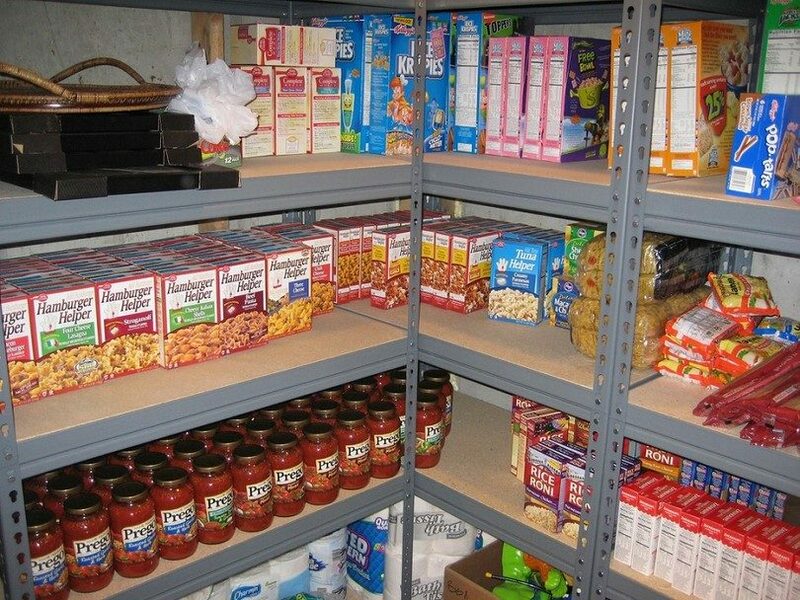 Stockpiling is all good and well but, without the proper equipment, you won’t be able to make or enjoy your food. For cooking on an open flame, you will need a suitable pot (with lid) and you may want to invest in a sturdy tripod. In order to light your fire, you will need a lighter or two, some extra lighter fluid and matches (just in case). Remember to stock up on the waterproof variety just in case they get wet. If you’re on the go, you will find wooden spoons and plastic eating utensils a lot easier to carry around. You will also need a light source such as candles and flashlights. You won’t always be preparing food during the day and there are few things worse than adding salt instead of sugar to your favorite meal! Gas bottles can be connected to various types of gas cookers. Tabletop stoves and grills are all really convenient. You can use them for everything from meal preparation to boiling water for drinking or making a cup of tea. Like many other things in life, the most important thing to remember is the importance of preparation. By preparing ahead, you won’t be caught off guard and you’ll be ready to face even the most challenging circumstances. As you build up your supplies, you should keep an inventory of everything you buy and what you use. In other words, you need to store your newer products closer to the back of your storage area with the older products in the front. Don’t just let your stock sit for years to come. Use your emergency supply on a regular basis and simply restock each month. 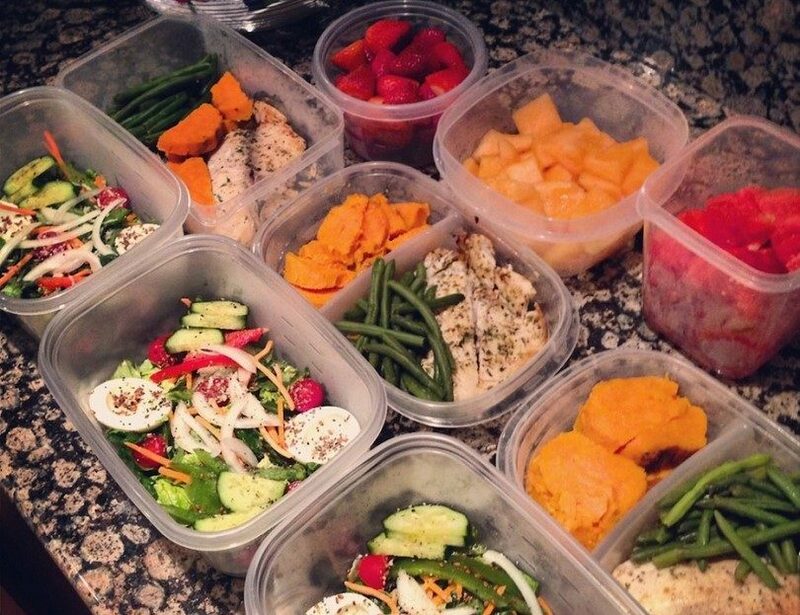 This way, you will always be prepared and your food won’t expire and you will have the freshest food in stock.